IN A WORLD WHERE SECRETS HIDE IN CODES, A TERRIBLE FATE RESTS IN THE QUIET ECHOES OF THE NIGHT. After an impromptu assault sends him on the run, Neil Gatlin finds himself stranded in an Illinois farm town, desperate to return to Indiana and his pregnant girlfriend, Sunshine. But when Neil is framed for murder, everyone in town believes him guilty. As clues start to reveal the truth behind his unimaginable fate, he overhears schemes threatening to pull him into greater trouble. 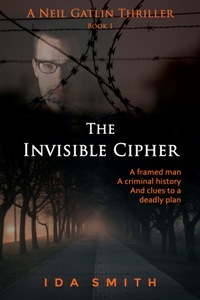 The only one with the skills to uncover a deadly plan by hardened criminals, Neil must take matters into his own hands and secretly decipher the messages. But as Neil comes closer to the truth he must choose between doing the right thing and risking all he loves. Enjoy the fast-paced Neil Gatlin Thriller Book 1.